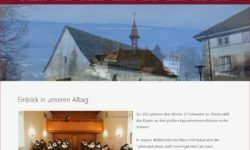 Visit Kloster und Wallfahrtskirche Maria Hilf and Welcome On Ice to see our newest homepages! Do you need a new website? Please contact us here.